The remains of a yacht, hit – and destroyed – by a Red Funnel ferry – have been lifted form the sea. 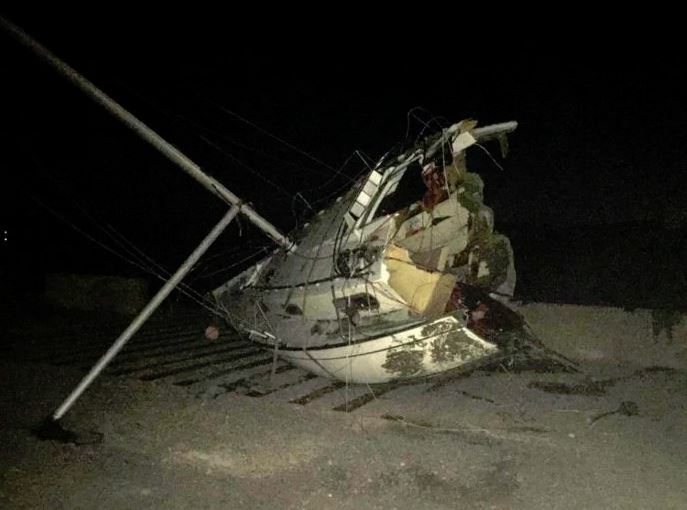 The Red Falcon – inbound to the Isle of Wight – came to a stop just a hundred yards from East Cowes Esplanade – way off its usual docking route, after colliding with yachts. It prompted a major response from emergency services, Solent Coastguard, local coastguard and other maritime teams on the Isle of Wight, on Sunday (21). The master and navigational team have been suspended while investigations into the incident are carried out. “Whilst the investigation is underway, the navigational team involved in the incident will not be rostered on board which is in accordance with best practice. As normal, the investigation will also consider any other similar incidents that have occurred, both internally and industry-wide, and will seek to identify any common factors.